Jun 3, 2017 – DETROIT, Mich. Starting second in the GTD category after posting the best qualifying performance of the season for the NSX GT3, Legge completed a strong opening drive in the #93 Acura, pulling away from the rest of the field between encounters with slower traffic. A caution just past the 30-minute mark resulted in most teams heading to pit lane for their single stop and driver change in the 100-minute contest. 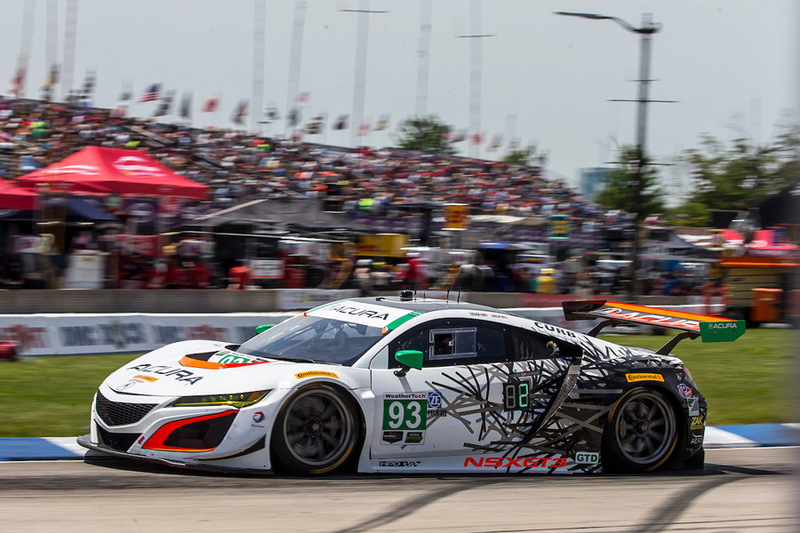 When Legge pitted the #93 Acura, her Michael Shank Racing team elected to change only two tires during the stop, enabling co-driver Lally to resume in the lead. When the green flag waved with just over an hour remaining, Lally held off a challenge from the Ferrari of Alesandro Balzan, then pulled away in the closing laps to take the checkers just over two and a half seconds clear of the GTD field. 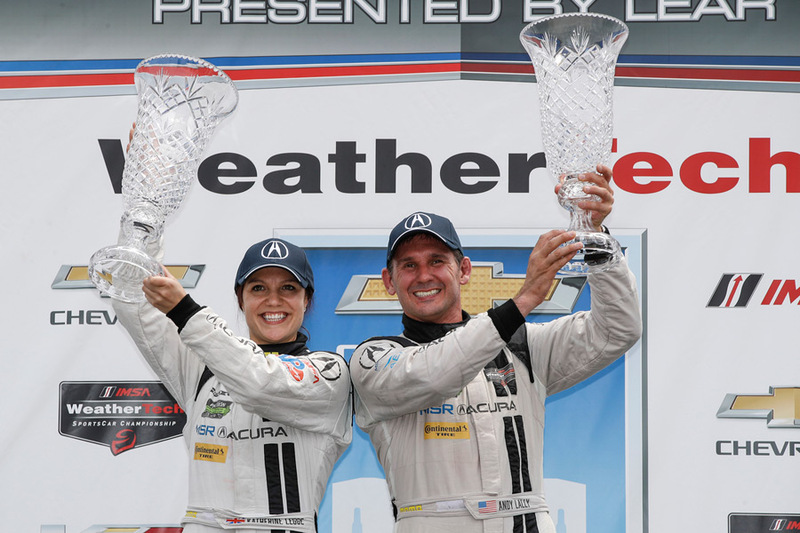 Acura and the MSR team came close to a double-podium result in Detroit. 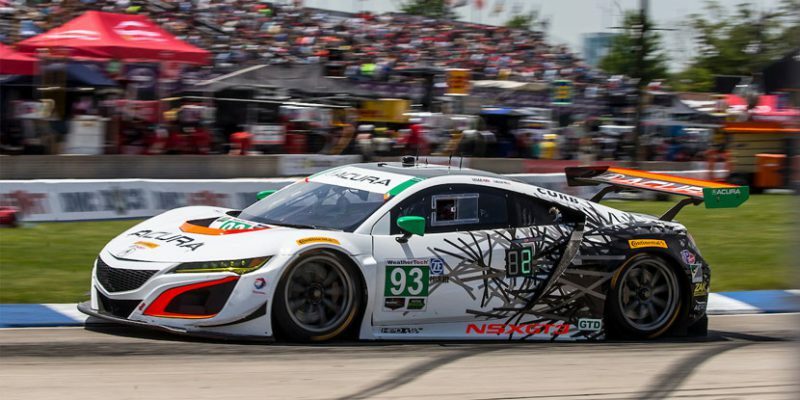 The #86 Acura NSX GT3 of Jeff Segal and Oswaldo “Ozz” Negri ran as high as third before late-race contact from a following GTD car sent Segal briefly off-line, costing him two positions. Segal then moved up three more positions early in his run, and attempted to hold on to third place in the closing laps. But, with just over two laps remaining, contact from the following Lamborghini of Madison Snow briefly sent Segal off-line, and he fell back to fifth at the checkers. Still, the 1/5 finish for Acura and the Michael Shank Racing team today is the best combined result for the NSX GT-3 since it debuted in the season-opening Rolex 24 at Daytona International Speedway in January. Competing in the GTD class of the sports car racing championship, the NSX GT3s race against premium automotive brands including Aston Martin, Audi, BMW, Ferrari, Lamborghini, Lexus, Mercedes-Benz and Porsche. After the second of two, temporary street circuit sprint races on the 2017 schedule, the WeatherTech SportsCar Championship returns to endurance events on classic road courses for the remainder of the season. The series resumes July 3 with the Sahlen’s Six Hours of the Glen at Watkins Glen International Raceway in upstate New York, the third round of the series-within-a-series Tequila Patron North American Endurance Championship.